Ginger Doughty is a multi-faceted yoga teacher who harnesses a rich blend of yoga traditions in teaching and personal practice. 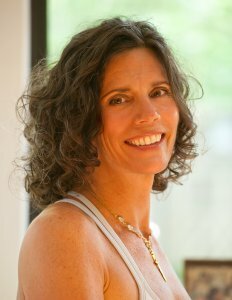 Her classes reflect more than a decade of training and instruction, resulting in an expansive knowledge of yoga and mind/body healing techniques. Ginger creates each session as a journey, in which students reconnect with their highest nature by traveling through the layers of “being” to rediscover their inherent potential. Classes combine Kundalini Yoga practices with alignment-based Hatha Yoga principles—as well as restorative benefits of iRest Yoga Nidra meditation. She also integrates vibration therapy into teachings, enhancing frequency vibration and electromagnetic field awareness. Ginger is dedicated to sharing synergistic, balanced yoga practices to provide lasting benefits for the mind, the body, and the soul.